Remarkable job! Mark was helpful and effective from day one. He was in constant contact providing us with updates throughout the process. As first time homebuyers mark helped through every step of the process and got us the home we had our hearts set on. We would recommend Mark 100% to anyone. During the course of the past 18 months I’ve had the pleasure of working with Mark Farwell in over 20 transactions in the Jacksonville market. Every deal has been conducted with honesty, integrity, and is handled with diligence from execution to the closing table. Mark is straightforward and his word is as good as gold, in most of our transactions a handshake spot was as good as a signature on a contract. You would be hard pressed to find another real estate professional with such diverse knowledge of Jacksonville’s many niche markets. Throughout our dealings Mark personally handled all of his paperwork and will take full involvement in every deal he is a part of to ensure nothing slips through the cracks. If you are looking for someone who will make sure you are treated fairly and will not rest until you are satisfied then Mark is the agent for you. Mr. Farwell did a great job on helping me and my brother negotiating on the price of the condominium we wanted to buy. He responded diligently to all the questions we had, and worked things out in a precise time. Mr. Farwell showed great knowledge, professionalism on what needed to be done, for both parties. The process of the purchase went smoothly, and made everything as easy as it could be. Very satisfied with his assistance on the purchase of our property." When I relocated from Jacksonville and needed to sell my home quickly, Mark Farwell used his marketing skills to achieve a fast sale at a great price. Mark's energy, knowledge of the market and sales skills meant I had several showings and multiple offers. Mark worked hard for me and I was very pleased with the result. 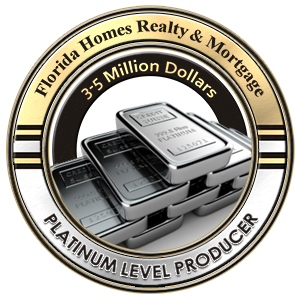 I am in the wholesale real estate business dealing with investment groups and individuals. My organization secures various properties, primarily in the Jacksonville, FL market, and puts them on the MLS for realtors and others to evaluate. We have done a substantial amount of business in this market and are adding new properties at a consistent level. For the past two years I have dealt with Mark Farwell on a regular basis. Dealing with Mark has been a true pleasure. He is very detailed and totally ethical. I can honestly say that I consider Mark the consummate professional. I certainly look forward to working with him for a very long time to come. I would recommend Mark to anyone seeking professional representation in all facets of the real estate business. Mark was very helpful through the process. He went above and beyond to make our experience as easy as possible. We will definitely use Mark again when buying or selling property. Mark was a great asset to our family with selling our home, searching for and choosing a new home. This was my first experience working with a realtor and I did not imagine it going so smoothly. Nice to have someone in your corner with knowledge and skills to help make the important decisions. My family and I are so happy with the home that we have been there for 11 years and do not envision leaving anytime soon." Mark is a true investor-friendly agent. We’ve had the pleasure of utilizing his service for over 23 of our investment properties purchases. We highly recommend him! Mr. Farwell is the best realtor and he always keeps in touch with you and works out everything you need. He negotiates anything that you need and he found me a wonderful place. He is so nice and you will love him and he will find you the right house for you. Mark is extremely professional.We have worked together on many properties (inspections, walk-throughs, etc) he pays great attention to detail. He's a good communicator and is simply a joy to work with. Mark is a knowledgeable realtor and he specializes in helping both buyers and sellers. We met Mark Farwell when we requested to view a property that ended up not suiting us as a family, but Mark definitely did. Mark became our Realtor, and always went above and beyond to make things easier on us.I have and will continue to recommend Mark to anybody looking to buy or sell property, and I will always be eternally grateful for everything that he has done for us.Through it all, Mark became a part of our family, and I couldn't imagine anybody else to have helped lead us through the journey of finding and purchasing a home. My wife and I selected Mark Farwell to list our home for sale from a variety of Real Estate Agents. Mark took the time and effort to explain the Listing Agreement and sales process to us, in terms that we understood. He also explained what we might expect during the sales process. I found Mark to be honest and professional in all of his dealings with us, and I would, as well as have, recommended Mark to my family, friends, and acquaintances. He has an exceptional work ethic, is self-motivated, and acted with integrity. He represented us on both selling our existing home, and in buying our new home." Hi Mark thanks for helping us to find the house. You were always there and available to answer all the questions we had. It was very much a pleasure doing business with you, and we are glad that you were our realtor. We look forward to working with you again in the future. Again, thanks a lot Mark. Mark, I would like to take the time to thank you for your level of professionalism and knowledge of the market. We have been down in the trenches working deals and we always have been able to find solutions and assist clients to achieve their dreams! You have been a an awesome realtor to work with and have taught me that no matter what, there is always a solution. Thank you for your kindness and always doing what's right for all parties involved in the transaction~Looking forward to working with you many years to come! I have been working with Mark Farwell for the last year and after years of being in the business my experience has been one of the most pleasant ones. We have done many deals and he has always been punctual and communicative in every aspect. I recommend Mark as he has not only been a business associate but also a friend. Thank for everything Mark! I can not say enough about my experience with Mark. From the very beginning he work hard to find us the perfect home in record time. He kept us well informed of homes that met our needs, and eliminated the ones that didn't. This prevented wasted time of looking at homes just to be looking. He always had our best interest at heart. Mark goes over and above the call of duty. Within two to three months we found a home and closed the deal. He even came to the closing in the most horrible pain, to support my wife and I. Now who would do that? If you want dedication, honesty, hard working, professionalism, and know the business, Mark Farwell is the person. We had three other realtors before we had Mark and none of them have his quality and qualifications.